Christmas is just around the corner when the calendar hits the Ber-months. It goes to show that Pinoys really celebrate Christmas not just a single day event but a whole season— a feat that makes us unique apart from the rest of the world. 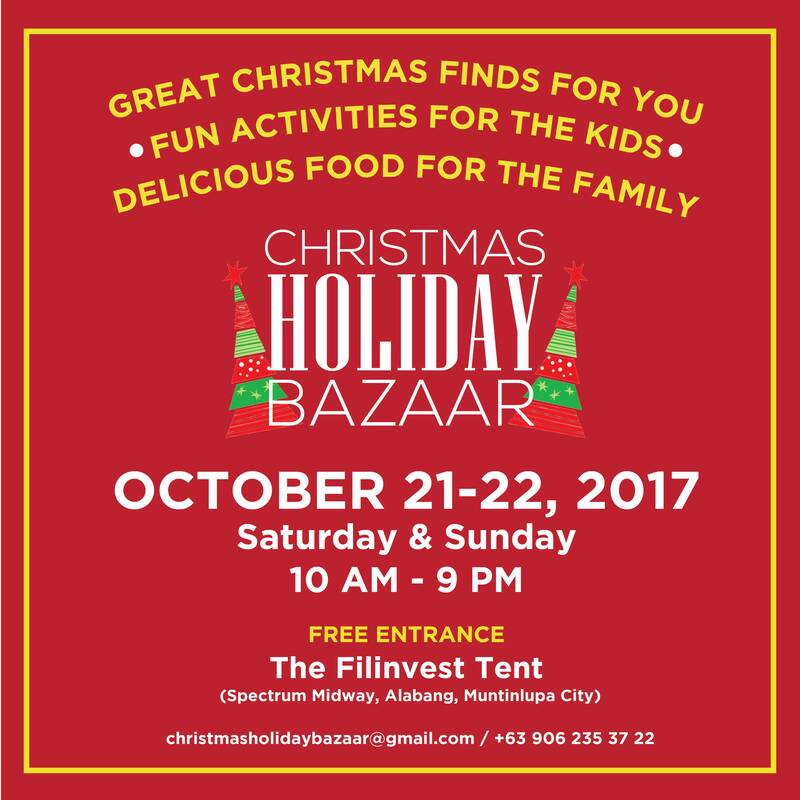 In the Filipino tradition of Christmas merry-making, Children’s Environmental Awareness and Action Foundation (CEAAF) and Yabang Pinoy bring to you this year’s CHRISTMAS HOLIDAY BAZAAR, a two-day event filled with tons of Christmas finds, delicious food choices, and fun activities your kids will surely love. 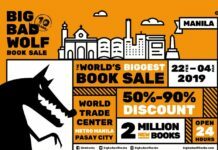 This event will be held on October 21-22, 2017 (Saturday and Sunday), 10AM to 9PM at The Filinvest Tent, Spectrum Midway, Alabang, Muntinlupa City. As an ode to early Christmas shopping, it gathers unique and upbeat brands that offer best Christmas gift options for your friends, colleagues, and loved ones. The event venue is dissected into zones: Women’s Fashion, Men’s Fashion, Children’s Apparel, Art & Design, Home, Sports, Health & Wellness, Literature, Music, Technology, and Food & Beverage. 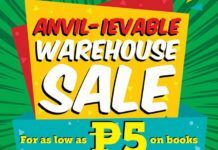 Some of the brands present in the bazaar are clothing brands such as Miss Bessy, Simone’s Closet and Mia Casa; food items such as Bai’s Boneless Lechon, Bigg Rigg Shawarma, and Andy’s Kitchen; and novelty and gift brands such as Little Khali’s, Copperazo, and Pillows & More. While grown-ups enjoy scanning the great Christmas finds in the bazaar, the event will also cater fun and innovative activities such as inflatable playground and robotics that kids and kids-at-heart will definitely enjoy. Not only that, kids will enjoy some interactive engineering activities and barnyard attraction in wheels. 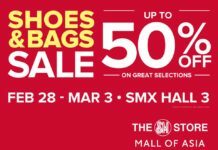 Admission is free, so you can tag along people on a hassle-free shopping experience!